After re-reading both of Robin McKinley’s Damar books (The Hero and the Crown and The Blue Sword) I was wondering how on earth Pegasus was going to hold-up to two of my favorite fantasy reads… and then I got into Pegasus which completely blew my mind it was so good. I must admit that I was a bit worried when I first heard the title of the book (Pegasus), and that they would play quite a big role in the book, but my fears were banished pretty early on in the book. Now I cannot imagine what it would have been like without the connection between the humans and their Pegasus. Pegasus isn’t your typical fantasy book where the MC ends up going on an epic quest that usually ends up with them fighting in some huge battle it definitely has enough internal subterfuge to leave you on the edge of your seat wondering what will happen next. If I had a list of favorite fantasy heroines, Sylvie would most likely be at the top of my list. 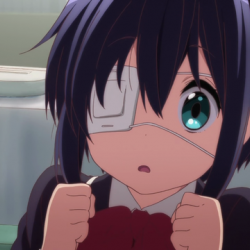 It’s hard to put my finger on what exactly I liked about her without risking giving something away, so I’ll just leave it at she’s a fantastic protagonist and I would love to run across her in another story. This time I’m going to pass on telling y’all what my favorite part in the book was, and instead tell about my two favorite things about Pegasus: 1.) I loved how vivid the descriptions of everything was. They just brought the book to life without overshadowing the story. 2.) I loved the relationship between Sylvie and Ebon; I would rank them as one of my favorite friend duos. I can hear it now y’all are waiting for to hear what’s was my least favorite part of the book. Well prepare to be disappointed, I loved every single bit of the book and couldn’t find a single thing that I didn’t enjoy about it. 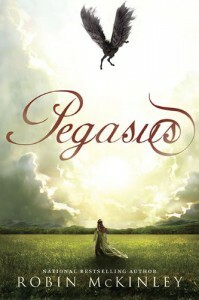 Final verdict on Pegasus: I loved it and plan on buying a finished copy as soon as it hits the shelves. I would definitely recommend this book to everyone, and a bonus to it being a great read, it’s a very clean read. Pegasus earns 5 out of 5 pineapples for being made of awesome.